Grace Ciao , a 22-year-old artist, from Singapore. She preserves the beauty of dying flower petals by transforming them into clothing sketches. 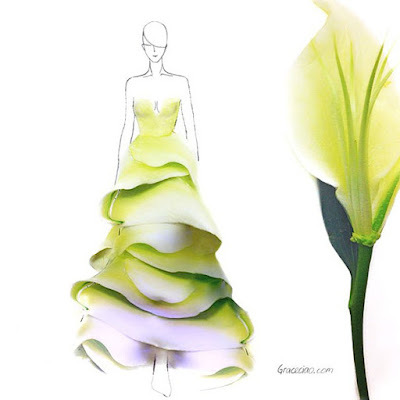 This way, the petals become not only gorgeous substitutes for lines, curves, and colours, but also become a source of inspiration themselves, introducing new kinds of forms and textures to her clothing designs. 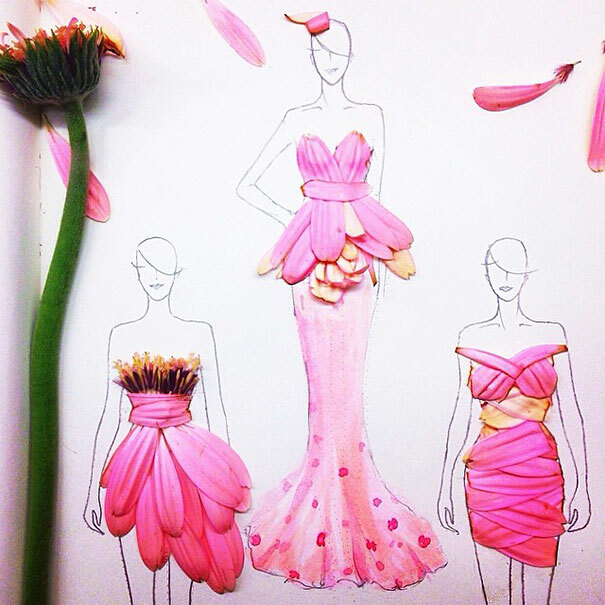 She uses a distinctive style in her fashion illustrations. Instead of using watercolours, ink, fabric, or other conventional means. Ciao only recently came up with the idea of using flower petals in her work. She decided to use them when she wanted to preserve the beauty of a dying rose that she got from a boy. 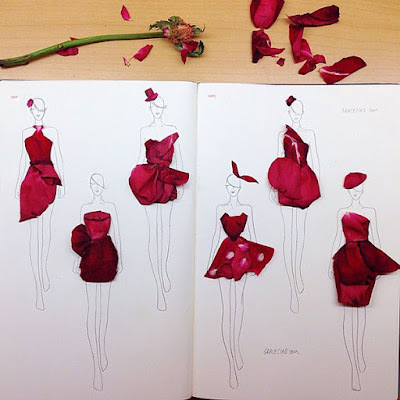 The helped her realize the aesthetic and artistic advantages of this original use of petals. 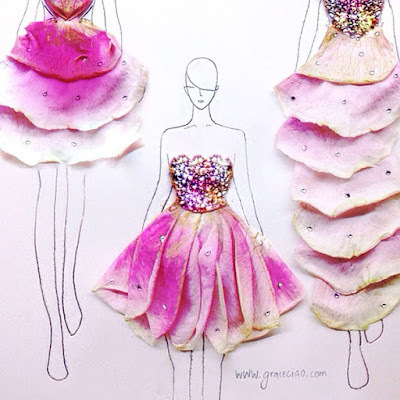 I love how she get her idea from a flower petals and make to a beautiful dress. 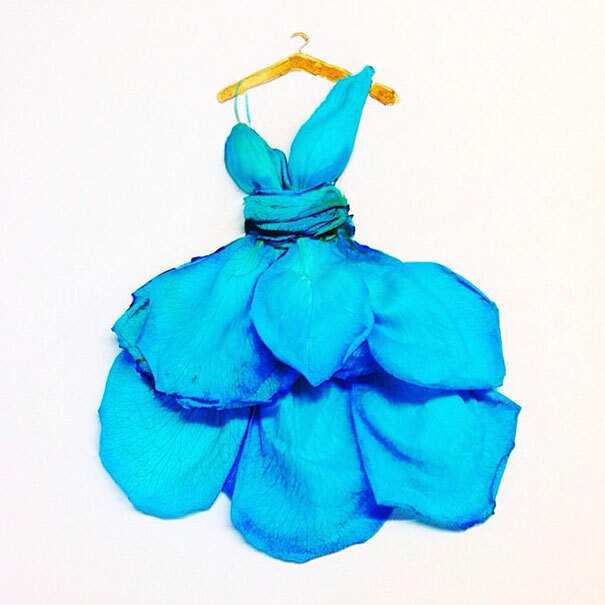 It's amazing just by a flower petal can become a whole new dress. And I love how colourful it is, the colours just make it more lively. “They help me create prints which I otherwise couldn’t have thought of,” Grace said.